Being a thriving metropolis and the third largest city in China, it comes as no surprise that Guangzhou is filled with a sites that captivate all who visit it, including historic religious structures, an array of interesting museums, and some beautiful parks and gardens. The ChimeLong Group offers exciting theme parks set up for visitors to enjoy with circuses and waterparks, while the Guangdong Provincial Museum provides a good overview of the region and its history. The Guangzhou City Art Museum is one of the best in China, with impressive exhibits of traditional Chinese calligraphy and paintings. Other favourites include the Guangdong Folk Arts Museum, situated in the Chen Clan Ancestral Hall, and the Museum of the Western Han Dynasty, which includes the Mausoleum of the Nanyue King. 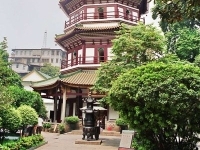 Guangzhou has a unique tourist attraction in Shamian Island, a former colonial outpost. The European architecture and manicured lawns are dotted with shops and cafes, making it a relaxing refuge from the bustle of the city. The Temple of the Six Banyan Trees is another popular Guangzhou attraction, an oasis of peace in the city. 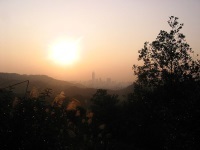 For those who like outdoor activities there is the South China Botanical Garden and the beautiful Baiyun Mountain. 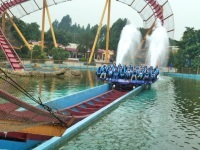 Another exciting attraction, especially for those travelling with children in Guangzhou, or who just particularly like animals, is the Chimelong Safari Park, where China's beloved Giant Pandas can be observed.